﻿Welcome to Ridgway – the Lily of the Valley! The Ridgway Heritage Council supports economic development in Ridgway through the preservation of our precious heritage and natural resources that were the original foundation of our community. Since 1997 the work of the council has resulted in millions of dollars of investments in residential and commercial real estate, projects to beautify streetscapes, and the recruitment of over 50 new downtown businesses. We believe in working hard and playing hard! Founded in 1997, the Council faced the bleakest time in downtown Ridgway. Empty buildings abounded, litter was rampant, and hopelessness prevailed. Undaunted, council members built a winning team that brought in significant grants to help us down the revitalization path, attracted new businesses and resulted in tremendous investment in residential heritage homes. During the past 21 years, we created the Ridgway "Lily of the Valley" National Historic Register District, became a Pennsylvania Main Street Community and pumped hundreds of thousands of dollars into downtown redevelopment, and have been recognized with numerous state awards. Great downtowns don’t happen “by chance” – especially in rural areas. It takes a combination of sound economic resources combined with great community events and constant marketing. Our team's enthusiasm is catching! 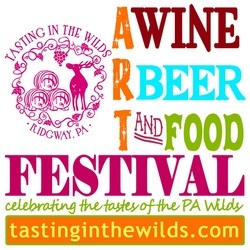 Please join us this year at our two signature events – the Annual “Tasting in the Wilds” Wine and Beer Festival, and our fabulous Historic Tour of Homes that showcases our nationally renowned Hyde-Murphy Company woodworking heritage. Enjoy Ridgway! Buy a house! Start a business! Support the Ridgway Heritage Council programs through Amazon.com's donation program. Use the button below to sign up.